The Pittsburgh Penguins have been one of the NHL's elite teams for the past few years in large part because of talent and depth few, in any, other teams could match. Sidney Crosby, Evgeni Malkin and Jordan Staal were the backbone of back-to-back trips to the Stanley Cup Final and a championship in 2009. That depth allowed the Penguins to remain among the League's top clubs even when one of the "Big Three" went missing with an injury. After Staal's best season in 2011-12, he felt he was ready to handle more responsibility -- but wasn't optimistic he'd find it in the long term in Pittsburgh. He will get that chance after being traded to the Carolina Hurricanes on the first day of the 2012 NHL Draft. For the Penguins to give up such a valuable player and remain among the top contenders for the Stanley Cup, general manager Ray Shero wanted some immediate help as part of the return. Not only did the Hurricanes have Staal's brother, Eric, they also had the perfect asset to begin a trade package -- center Brandon Sutter. "Brandon is the key to the deal for us," Shero said on the day of the trade. "We really like Derrick Pouliot a lot and Brian Dumoulin is a key asset as well, but an NHL-ready Brandon Sutter -- he’s a proven player in the League. He’s a young player. He’s signed. We love the character. We love what he brings. He’s got good size. It is hard to find guys like that. Defensemen and centers are difficult to find. He’s a real key to the deal for us, and we look forward to having him with us for many years." So the Penguins will move forward without a member of their "Big Three" but not without the same philosophy. Talent and depth at center will continue to be one of the Penguins' main strengths, provided Sutter acclimates well in his first season with Pittsburgh. Sutter had 17 goals and 32 points in 82 games for the Hurricanes last season. He's spent the past three seasons as either the No. 2 or No. 3 center in Carolina and earned a reputation as one of the top young two-way centers in the League. Staal is also in that group. The Penguins will be happy if Sutter can replicate Staal's work at the defensive end of the ice. Sutter led Carolina's forwards in shorthanded ice time last season, and Staal has been a key part of Pittsburgh's PK since his rookie year. Like Staal, there could be more offensive production in the future from Sutter, who will be 24 years old in February. He had 21 goals and 40 points in 2009-10, and while he'll spend most of his time on the third line, Pittsburgh coach Dan Bylsma likes to pair Crosby and Malkin at times, which would open a spot for Sutter on the second line. "I think here I was before, I liked my role there and I feel it’s going to be kind of similar here," Sutter told reporters shortly after the trade. "I think at the same time, there was times where I didn’t get very much offensive opportunity at all. There was no power play, no nothing ever. Which is fine if you’re winning, but when you’re not winning that can be kind of frustrating, I guess." Sutter saw less than 30 seconds per game on the power play last season with Carolina, and it is possible he'll find a regular place on Pittsburgh's second unit. His durability could also lead to more opportunity -- each of Crosby, Malkin and Staal have missed significant chunks of time with injury since the Penguins won the Cup. Staal had 25 goals and 50 points in 2011-12, but he also spent a lot of time among the top six forwards with Crosby out of the lineup. The Penguins won't expect Sutter to match those totals, especially if Crosby can play a full season. If Sutter's transition to his new team is smooth, there could be a new "Big Three" in Pittsburgh. "We’ve got three centers," Shero said. 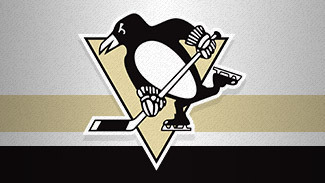 "We got Brandon Sutter, and with Sidney Crosby and Evgeni Malkin, that is three really good centers. That’s the strength of our team. We’re looking for Brandon to being a big part of that. It was pretty important to me in building this team to have a young center like that to put with Crosby and Malkin. It makes our team a good team still and in the future moving forward."